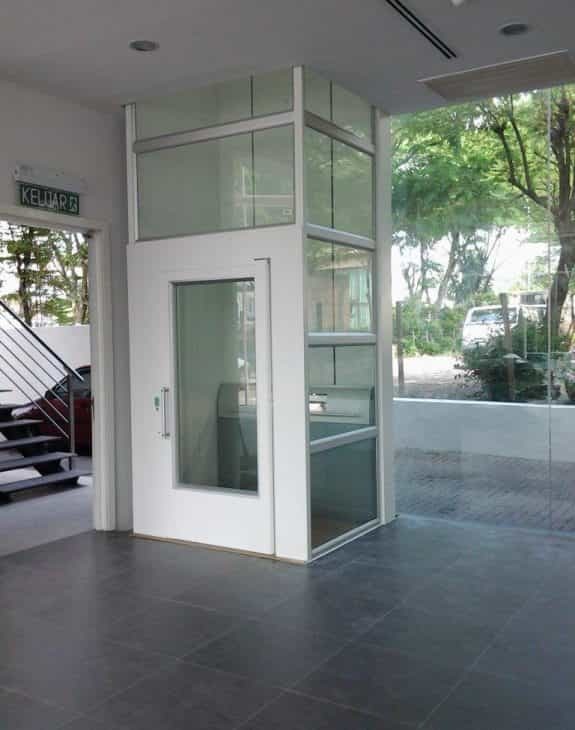 IN PLACES WHERE CONVENTIONAL LIFTS CANNOT BE INSTALLED DUE TO LACK OF SPACE, THE SEPARATE SHAFT OR A MACHINE ROOM. 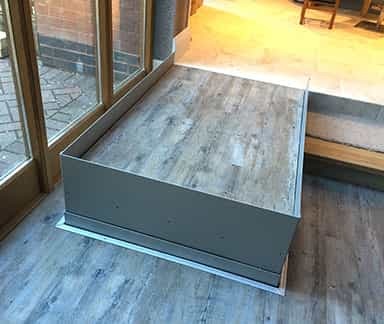 This platform lift can be accommodated in a 50 mm pit for a flat levelled entry. 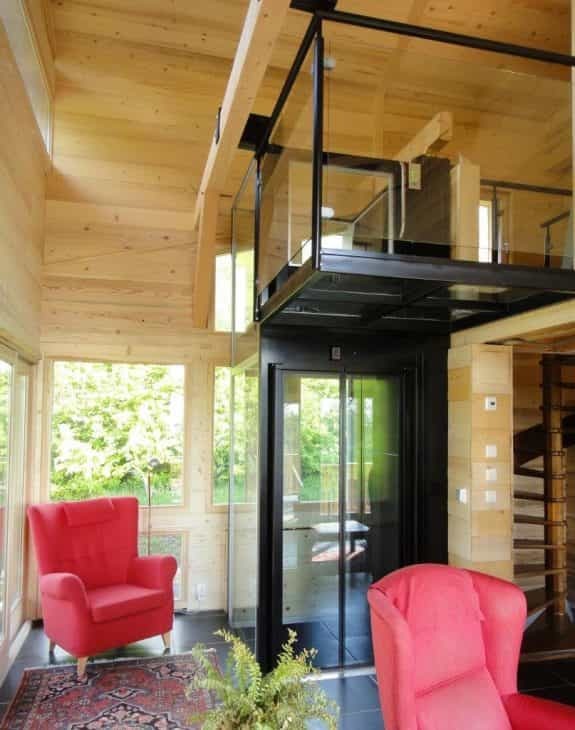 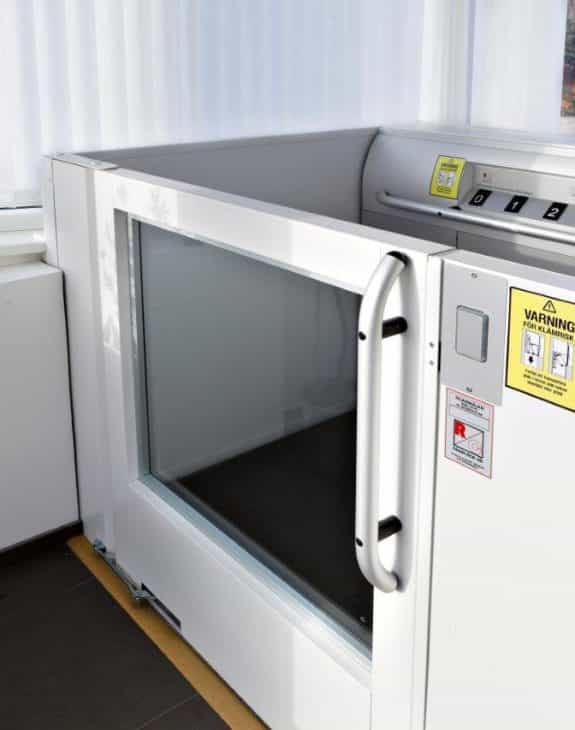 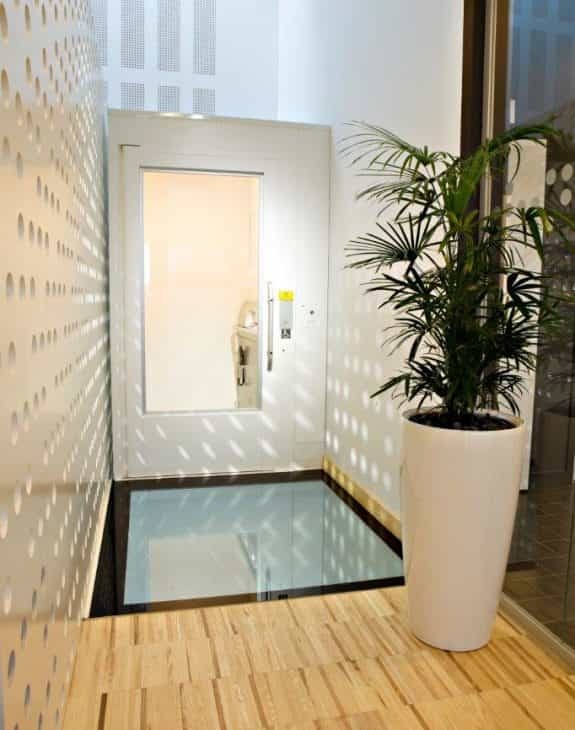 Alternatively, the lift can be positioned directly on the floor with a 50 mm ramp. 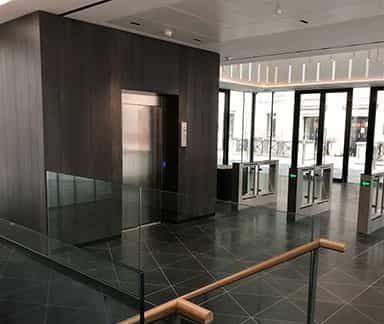 With a wide number of sizes available our lift is especially suited for installations in existing buildings. 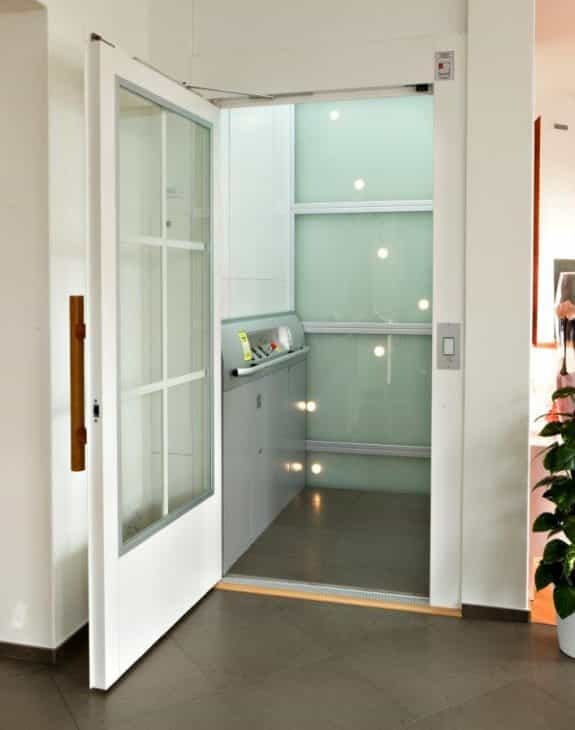 The unlimited design and custom options make this lift an asset to every interior. 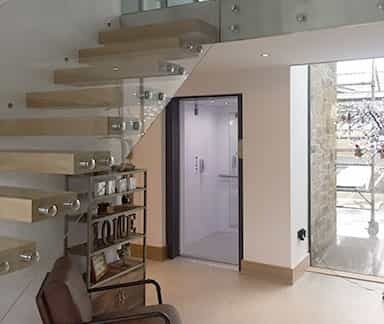 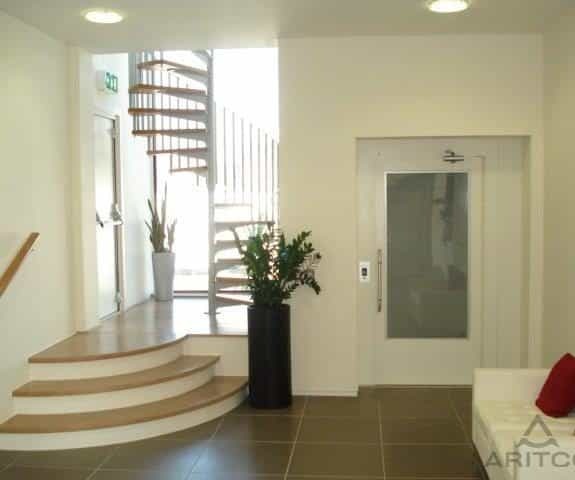 This in combination with it’s ease of use, low price and usage costs makes this platform lift an excellent alternative to conventional, more traditional lifts. 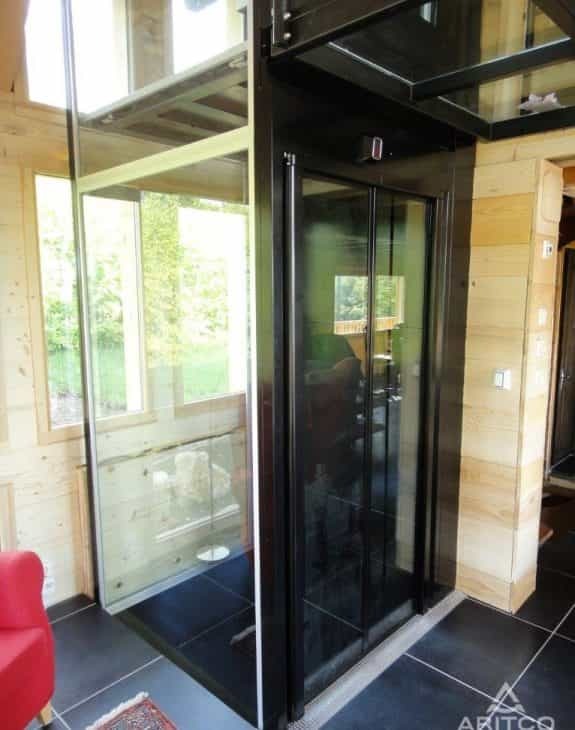 Qube 4 allows for a panoramic four wall design together with a number of available options and possibilities to make our lift an asset to modern open interiors. 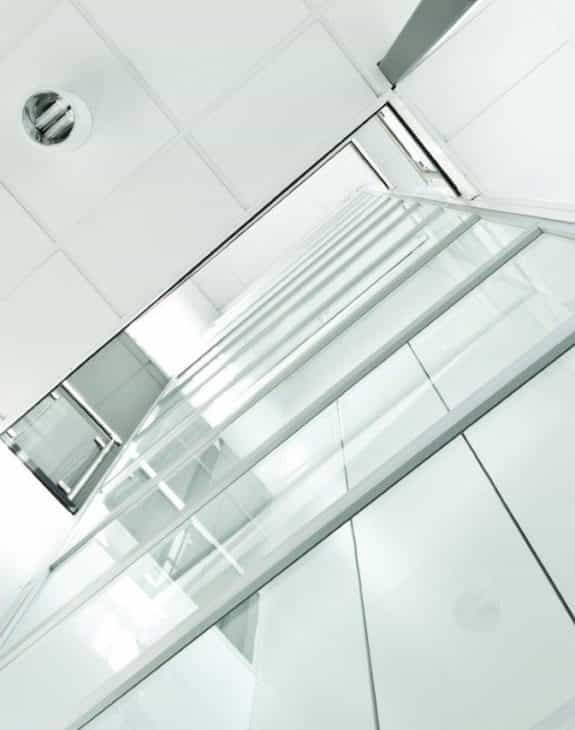 The lift will be provided with a shaft manufactured with safety glass panels on all four sides. 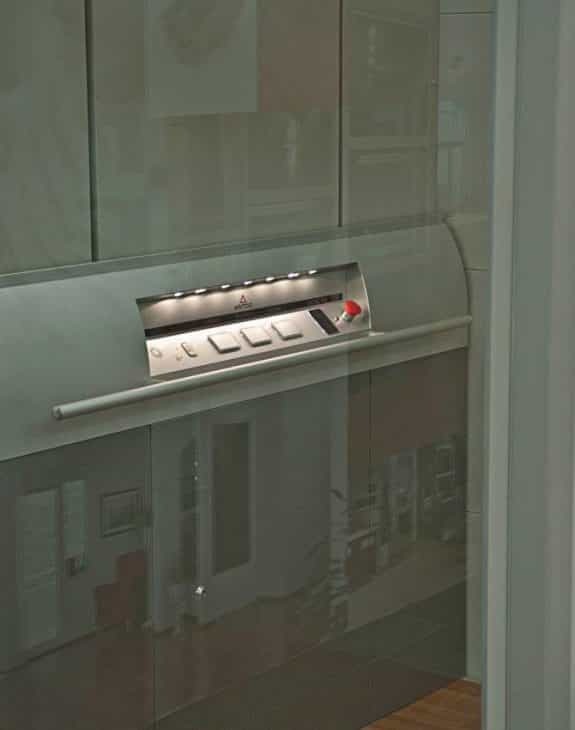 The slender glass panels create a stylish, open look, and the view from within the platform gives a futuristic feeling of comfort and security.